Learn How to Flash Lenovo Phones with Research Download, Upgrade Download, Miracle Box Etc. Click Here [Tutorial] for a detailed procedure on how to Flash Lenovo Mobile Phones. WARNING: Flashing your Phone with the wrong Scatter File could be fatal, ensure you don't make any mistake as we shall not share responsibility for any damaged Phone. G Sensor, Proximity, Ambient Light, Accelerometer, Finger Print, Face Unlock Sensors. • Ensure the Phone you are about to Flash has at least 40% Battery Charge. • Make a Backup of all your personal Data, before Flashing your Device, as this could help you fall back on its Prior Flashing State if anything goes wrong. • Always Flash with the right Stock Rom (Firmware, Pac File, OS, Flash File) as Flashing a Phone with the wrong File Could be Fatal. 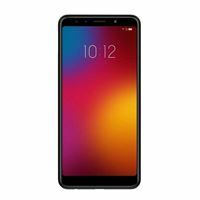 • Flash Lenovo K9 Lite with SP Flash Tool.